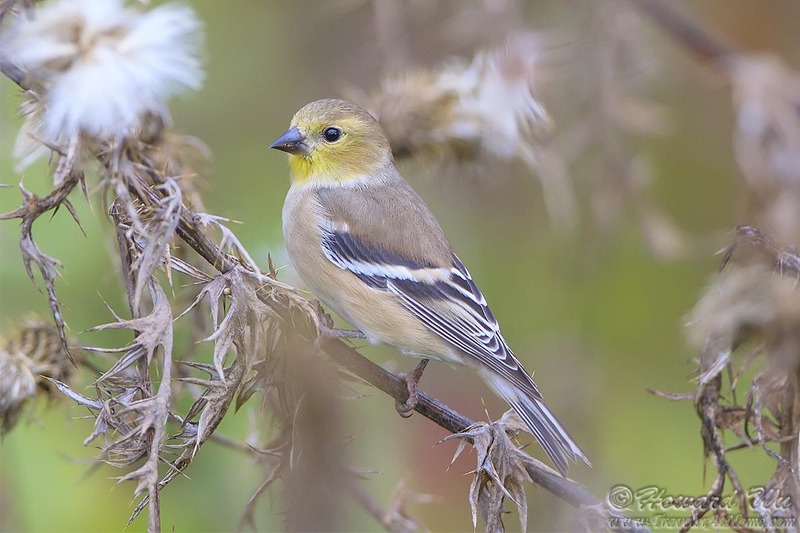 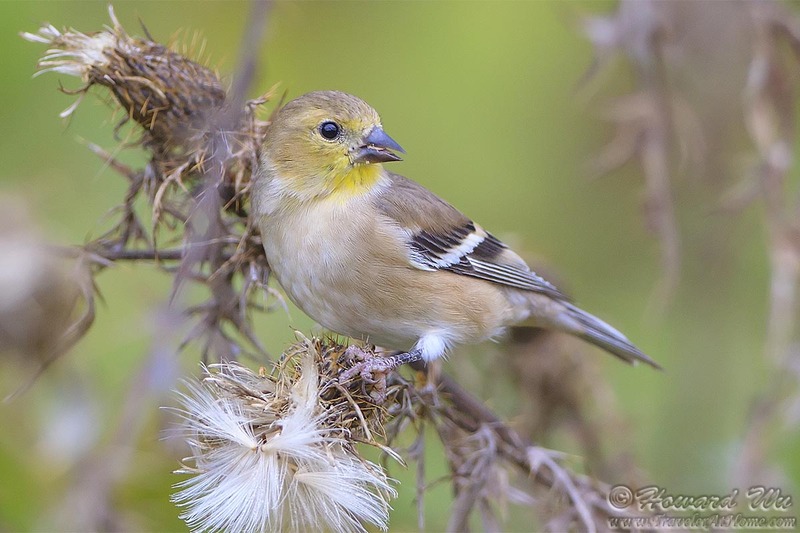 Nicknamed the "Wild Canary", the American Goldfinch is a pretty bird, especially the males in their bright golden breeding plumage. They seem to be fond of seeds of plants with tufted seed pods, such as thistles, milkweeds, or even dandelions. The weedy patch to the east of the pond is their favorite hangout place in the park.